Dandruff and itchy scalp often go hand in hand. Good thing there are natural treatments and remedies to address these annoying hair issues. This type of hair problem can affect both men and women, and while it is rarely serious, it can be uncomfortable and embarrassing. Dandruff is a chronic scalp condition marked by the flaking of skin on your scalp, causing dry white or grey flakes to appear. These flakes are more noticeable if they fall to your shoulders. Dandruff can also make your scalp feel itchy and dry. While there are plenty of over-the-counter options to treat dandruff and scalp itch, sometimes all you need to treat your hair woes is already in your home. 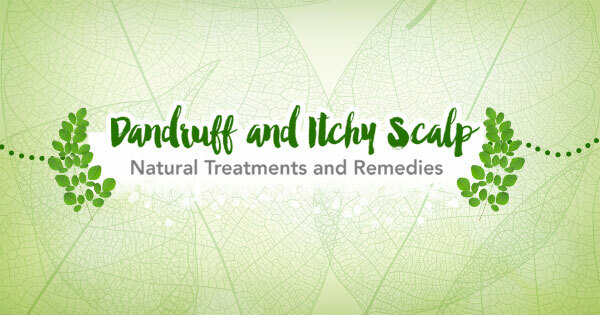 Check out this visual guide to popular natural home treatments for dandruff and itchy scalp. Tip: you’ll need Moringa-O² Therapy Oil for #4! Alleviate the annoying and damaging effects of dandruff and itchy scalp with Moringa-O² Therapy Oil! For best results, use every other day and leave on overnight.